THAILAND: Gamesa has been awarded a 67.5MW turbine order from PowerChina ZhongNan to supply 33 G114 turbines on 153-metre towers, 30 metres higher than usual. Gamesa claimed the turbines would be the tallest machines in Asia with a tip height of 210 metres. The 18 G114-2MW and 15 G114-2.1MW turbines will be installed at the Sarahnlom wind project in central Thailand. It is being developed by Chinese firm PowerChina on behalf of Gunkul Engineering. Sarahnlom is expected to be completed by the middle of 2017. It is Gamesa's second Thai deal after PowerChina ordered 30 G114 2MW turbines for three projects in the Nakhon and Ratchasima provinces in central Thailand. 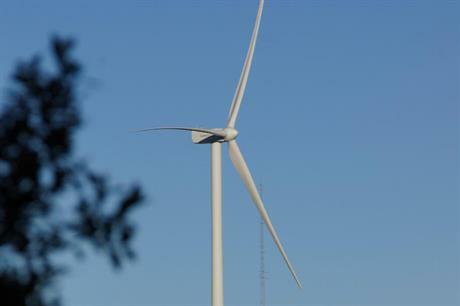 "In designing such tall towers, which are almost 30 metres taller than is usual for this model ... we reduce the cost of energy of the complex by boosting total energy output, as the turbines will reach heights at which the wind blows harder," said Gamesa marketing director Juan Diego Diaz.